NEW YORK, NY — Bucking the trend of technology that allows people to tell everyone that they’ve checked into their local restaurant, café or bar, Reboot has developed a smartphone app that helps users “check out” of the internet altogether. The app ironically will use technology to shut down technology. Think of it as rehab for the smartphone. 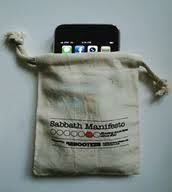 By using technology, the Sabbath Manifesto app is intended to spur a massive movement away from technology on the National Day of Unplugging, March 4-5, 2011, and beyond, and a return to the values inherent in a modern day of rest: reconnecting with family, friends and the world around them. The inverse of tools like FourSquare that allow you to check into a venue or location and notify friends where you are, the new Sabbath Manifesto app, for the iPhone, Android, Blackberry and other smartphones, announces to your social networks and online community through Facebook and Twitter that you are unplugging and will not be available online. Reboot, a non-profit organization that aims to reinvent Jewish rituals and traditions, developed the National Day of Unplugging (NDU) to encourage young, hyper-connected, and frequently frantic people of all backgrounds to re-embrace the ancient beauty of a day of rest. It runs for the 25 hours from sundown Friday, March 4, to sundown, Saturday, March 5. The first NDU last March reached tens of millions of people internationally. And it resonated with people of all backgrounds, from Catholic to Buddhist and Muslim. Since then, unplugging has become the movement of the moment, with everyone from the New York Times to Arianna Huffington focusing attention on our overly plugged-in society. AOL’s 2010 study on email usage found that 47 percent of respondents are hooked on email, 59 percent check email in the bathroom and 60 percent check email on vacation. Kids are afflicted too. In a recent survey by security software maker AVG of children between the ages of two and five from the United States and countries around the world, 19 percent of parents reported that their kids could access a Smartphone application but only 9 percent said their kids could tie their shoes. And a 2010 Nielsen study found that teenagers are sending or receiving an average of 3,339 texts a month. The Brooklyn Museum of Art in New York, the Jewish Museum in New York, the Contemporary Jewish Museum in San Francisco, the Skirball Cultural Center in Los Angeles and the National Museum of American Jewish History in Philadelphia are offering special deals for the 2011 National Day of Unplugging (NDU) to those who tuck their phones into a special cell phone sleeping bag when they walk in the door. And VolunteerMatch.org, the Web’s most popular volunteering network, is highlighting service opportunities to encourage NDU participants to “Unplug and Give Back” with one of its 75,000 participating nonprofit organizations. The day is being sponsored by One Happy Camper (OneHappyCamper.org), a program of the Foundation for Jewish Camp (FJC). 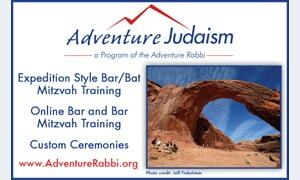 FJC is the only public organization dedicated solely to the support and advancement of nonprofit Jewish overnight camps. Additional funding is being provided by the Koret Foundation. The Sabbath Manifesto was designed to be entirely open to individual adaptation and interpretation. So Reboot’s new smartphone app allows users to create and share their personal Sabbath Manifesto with their friends and the public. Upon the first login, users are prompted to enter 10 of their own principles to develop a modern, personal interpretation of a day of rest that can be shared broadly. Text REBOOT to 738674 for a link to the app. The NDU offers a needed respite. When people take a break it gives them that reminder of what it is like to live in the world, to be around people and not be constantly distracted.” – Dr. Hilarie Cash, co-founder of the ReSTART rehabilitation camp for internet addicts in Fall City, Wash.
Related Post: Tired of Technology? 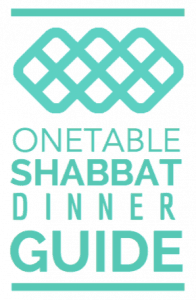 Unplug Next Shabbat, Camp-Style! I've been writing things since grammar school, and served as a writer, photographer and/or an editor on my junior high and high school newspapers; the Daily Trojan at USC (where I earned my journalism degree); the student newspaper at the Anderson School at UCLA (where I earned my MBA); and written and edited countless business documents and presentations in the ensuing twenty years. 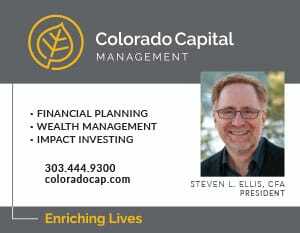 I've been involved Jewishly since my bris and in Boulder since 1995. 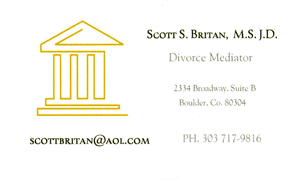 I'm married to my Executive Director Cheryl, and we have two children, Lauren and Ethan.